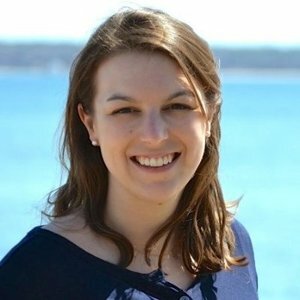 Casey Borders has an extensive tech background, working as a developer for startups, Fortune 25 companies, on a variety of software projects. He is passionate about the tech industry, and joined Tech Elevator as a Java instructor to give back to the Columbus tech community. Casey tells us why he identifies with the mission of the coding bootcamp model, why even senior programmers are always learning, and how local companies contribute feedback to the Tech Elevator curriculum. Plus, find out what sort of companies are hiring in Columbus! Tell us about your background in programming! How did you learn to code? I've been a professional developer for over 12 years now. During that time, I've had the opportunity to work with a wide variety of different companies- from ten-person startups to Fortune 25 companies, working on mobile apps, web apps, military simulation, and embedded firmware for customer hardware devices. The reason that I've chosen so many different jobs is because I'm really passionate about technology in general, and I love all the different ways that it interacts with our lives. Have you taught coding or had experience as an instructor before? I don't have a formal background in education, but I’ve taken a lot of mentorship roles in my career, and I actually co-founded the Google Developer Group in Columbus five years ago. We like seeing people discover new technologies, discover new ways that they can interact with technology, or learn new things about consumer products that are coming out. There’s an educational component to that group, and we have done formalized education sessions. Obviously, being a Google Developer Group we're affiliated with Google products. And Google's worked with Udacity to develop Android development courses, and my co-organizer and I have proctored those classes. Let’s back up a little bit- did you get a computer science degree? Did you take a “traditional” route into tech? As traditional as it can be, I guess! I have a computer science degree. Initially, I started out at Ohio State University studying architecture, but I was teaching myself C++ at night and at some point I thought, "That's ridiculous!" I transferred to DeVry, and I got both Computer Engineering and Electronics Engineering degrees. Since you’re classically trained as a software developer, did you need to be convinced of the coding bootcamp model? No, because the vast majority of my programming skills have been self-taught. I actually started programming when I was nine. My dad taught me QBasic, so I've been tinkering with programming since then. The value of the degree to me is really only from the companies that require it. They're becoming less and less important now, which is a great thing because really, at its core, development should be a meritocracy. Either you can do the work or you can't. It shouldn't matter what school you went to or how you learned what you learned. If you're passionate and you dig in, and you take the time to self-study, then that should be just as valuable as a degree. Throughout my career, some of the best developers that I've worked with have not had a degree. What convinced you to work with Tech Elevator? 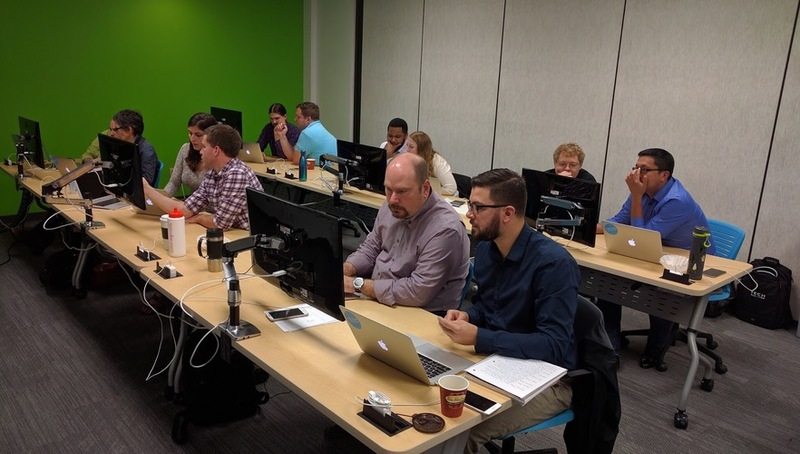 What’s special about the Columbus coding bootcamp? Having been involved in the Columbus community and meetup events, one of the things that really excited me about Tech Elevator Columbus is their interest in becoming part of the tech community in the cities they’re present in. They've done a really good job of that at Tech Elevator Cleveland, and I'm excited about helping them do that here in Columbus, especially with our #learntocode Meetup Group. I already have a pretty strong Columbus network, and I'm really passionate about the tech industry here. I think giving back to that community is a really, really exciting part of our job as a coding bootcamp. Now that you’re teaching full-time, what have you found is your personal teaching style? We’re halfway through our first cohort, and I’ve found that I like to keep things really informal. It's very important for beginners to understand that there's not a single person in the world who knows everything about programming. There are some people who spend their whole careers working strictly in Java without knowing about certain libraries and nuances. Learning as you go is all part of it. What makes you a great developer is not what you know but what you can learn because you’ll spend the vast majority of your time learning new libraries and technologies. I want students to feel empowered to ask questions and do research on their own. I also like to harbor a sense of community because for me the development community has been really important. I encourage students to go to meetups, to talk to their fellow students, and hang out here in Rev1 Ventures, the VC firm where Tech Elevator’s Columbus classroom is located, and where we’re surrounded by startups and engineers. Is there a lecture component to your teaching style at Tech Elevator or is the curriculum project driven? It's both. We get that there's a lot of theory to learn, but understanding how to implement that in practice is also extremely important. In my career, I've seen people come out of four-year colleges who crush the technical interview because they can talk theory all day, but when they actually sit down in front of the computer, they struggle to write a line of code. At Tech Elevator, we start at 9am with a quiz of the previous day's material. Those quizzes aren’t meant to be graded or build a GPA; rather, they’re meant for the student and instructor to understand where we need extra help and time to refocus. After that quiz, it’s all about instruction – learning new material. That's done using the projector and the whiteboard and through answering student questions. It's actually much more interactive than you would see at a university, where there are 500 students and one instructor with a microphone. Students stop me, they ask questions, and we validate our work. Throughout the whole afternoon, students work on projects. We teach Agile Development, and we teach Pair Programming (students alternate pairs each week). The whole course is divided up into modules, and at the end of each module, there's a mini-capstone project, so they use what they've learned in that module to work with their partner on a project. At the end of the entire cohort, there's a two-week capstone project where they build a full stack application. They do back-end, front-end, database, user authorization, all that stuff. Everything that I read about Java makes it sound so hard! Is 14 weeks actually enough time to learn Java? There's absolutely no doubt about it: Tech Elevator is hard. Just yesterday, one of my students was telling me that the bootcamp makes her feel like her master's program was sitting around the fire singing Kumbaya. We have a pre-screening process to invite applicants to take an aptitude test. If they do well in the Tech Elevator aptitude test, then we invite them in for an in-person interview. Part of that is a behavioral interview. If they do well in the interview, then we have them take a longer aptitude test because we don't want to accept tuition from someone if we don't feel like they're going to be successful. Programming in general is objectively a really difficult thing to do, and it's not for everyone. On top of that, there’s the stress of doing it all in 14 weeks. Can you tell us about the ideal student for Tech Elevator Columbus? What I love about the class is the huge variety of backgrounds. Some people have studied a bit of programming; others have done absolutely none. One of our students was a professor of film at University at Buffalo. Another studied math as an undergrad and then went on to get her law degree; and another was doing landscaping. I think that the wide variety of backgrounds is really beneficial because the more diversity we have, the more different perspectives people are going to have around solving problems. Seeing how different people learn actually expands your toolset and improves how you attack problems. We're not looking for a technical background or for the smartest person in the room. We want students who are creative problem solvers because ultimately that's what developers are – the people who solve problems using code. We’re also working hard to promote diversity in the development space; we host an event called Women, Wine & Web Design, led by a fantastic female dev who is going to teach people of any technical background how to build web pages. We want women at the front of the classroom so that students can see these really strong tech women who are up there doing their thing and making it a much more welcoming environment. Have you contributed to the Tech Elevator curriculum? How does it evolve as technology changes? In our Cleveland campus, they've built an entire advisory board of companies that are looking to hire junior developers, and they're advising us on the curriculum. We're working on building the same advisory board in Columbus because we don't want to assume that all employers have the same needs. The great thing about a coding bootcamp (versus a university) is that we can pivot really quickly because we don’t have red-tape. If employers tell us they need developers with specific skills, we can teach that. We're constantly changing the curriculum. After every cohort, we'll discuss what went well in the cohort and what didn't. For example, in this cohort, we rearranged the order of some of the modules to give the students a better path. We feel like it's important to give our students the best chance to be successful and give them the smoothest path. Are most of your students from Columbus or are they coming from other parts of Ohio or around the US? Most of our students are from Columbus. In Cleveland, they actually offer housing options, so they have students from all over the place. What makes Columbus a great tech city? More generally, Columbus is a great city because it's big enough to have a lot of the great opportunities that you see in larger cities – great art and science museums, zoos, parks, and tons of festivals. It's a very creative city. But it's still small enough to have a friendly Midwest vibe. People who come to Columbus talk about how friendly the people are here. Columbus is a great tech city- first because it's home to a lot of headquarters. We have huge Nationwide and Chase offices, along with a lot of banks and insurance companies. We're also building a strong startup scene. Rev1, for example, is incubating 40 startups- that’s where the Tech Elevator classroom is! Rev1 also hosts a lot of meetup events, so it's a great opportunity for our students to get ingrained in the tech community right from the start. There's another venture capital firm here in Columbus called Drive Capital that's incubating startups and making investments to startups. There has been a lot of advancement in bringing entrepreneurial, tech people into Columbus to improve the tech scene here. Columbus was also recently awarded a $140 million Smart City grant to promote technological solutions to improve transportation throughout the city. Has the City of Columbus been supportive of Tech Elevator? Columbus has actually been pretty good to us. I know that we're partnering with a company called JobsOhio, and the Central Ohio Area as a whole understands that tech is very important and they realize that Tech Elevator is in a really unique position to be able to provide developers to fill the gap that the whole city is experiencing. What types of jobs can those Columbus Tech Elevator students or graduates expect? Who is hiring for junior Java developers right now? Our job here is to create really solid Junior Developers who will be effective from day one. We have a lot of interest in our graduates. Every week we actually have a new employer come in and present to the students. They buy students lunch and they talk about their company culture and the benefits of working there. We also bring employers in for employer Lunch and Learns. For example, last week we had a representative from Safelite, and the week before that was Nationwide Insurance. Everything we're teaching our students is driven from demand that we've seen from employers. For example, we've noticed that Columbus is much more focused on Agile Methodology, which we weight more heavily here than at Tech Elevator Cleveland. How do you assess students as they’re learning at Tech Elevator? At the end of each module, we assign mini-capstone projects, and then the project pairs will come in and do a code review with me, which is something that they're going to experience in the field. We'll talk about any problems they've run into, how they work together, how they decided to divide up the work in the project, how they decided to tackle the project, how they're going to break the code up, etc. And then we'll actually run the project to make sure that it works and meets the requirements. Finally, we go through the code, and give feedback about how things could have been organized a little differently or cleaned up. What resources or meetups do you recommend for beginners and aspiring coding bootcampers in Columbus? In Columbus, aspiring developers are extremely fortunate, because we have a very rich tech community. Meetups.com is the best place to look for a variety of meetups that are focused on specific technologies. If you want to start online, I would recommend Udacity. A lot of their video tutorials are actually sponsored by developers who developed the technology. If you’re interested in Android development, the videos on Android development are actually created by Google. It's a really great resource, and it's all accessible for free.